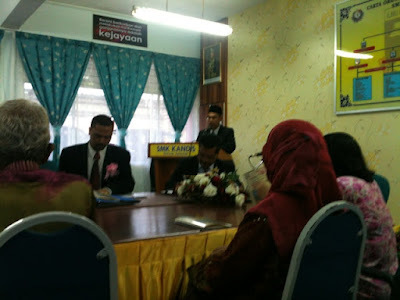 SMK Kandis was fortunate to be visited by judges from BTPN Negeri Pahang, Tn Hj Jonaidi Bin Osman and from IPG Kampus Tg Ampuan Afzan, Tn Hj Ahmad Salim Bin Hambiah. 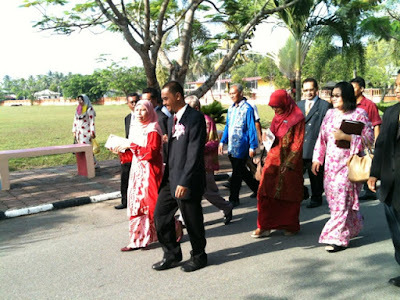 The respective guests arrived at our humble school at around 9 a.m. Their arrival was awaited by the principal, Pn Hjh Normah Bt Salleh as well as Assistant PPD Officer (Curriculum), Madam Soo Ah Khem and not forgetting, officers from BTPN Negeri Kelantan and PKG. So far, everything went smoothly. Hopefully, the situation continue in the same fashion throughout the day. Kandis Boleh! 3 Kualiti are rambunctious students. Due to that, I had tried a different approach to use the collection of horror stories called Spooky Tales. There are 12 books in the collection. So, 3 Kualiti consists of 33 students so I divided them into 11 groups of three. They had to choose one short stories from each novel. Next, they were required to list the names of the characters in the short story. Then, they had to come up with the plot of the story. Lastly, they needed to determine the moral values from the story. They could use the dictionary for help with difficult words. Overall, Amierul Hisyam, Liki and Rafeeq showed the effort to read and understand what the story was about. Others did not seem to be bothered even when the brand new books were presented under their noses. I really hoped eventually they would change their attitude towards reading. Being Guru NILAM for SMK Kandis, I've been passionately reading extensively for pleasure and intensively for academic purposes. Reading holds many treasures. One can be engrossed with a book that it can affect them and the way they look at life and the many problems it brings. A book offers an insight into cultures different than ours, life styles of people that are foreign to us as well as bring tears to our eyes and laughter in our souls. The following is a cross-post from our content partners over at Best Colleges Online. They have a few tremendously helpful lists like this that you should check out! Romantic types like to portray books as flights of fancy offering up imaginative escapes from everyday drudgeries of work, school, and the like. But literature, no matter the medium, holds some pretty amazing, scientifically analyzed perks right here on terra firma. Passionate readers generally enjoy more finely-tuned brains than those who prefer more passive (though not lesser) activities, so anyone hoping to improve their minds both psychologically and cognitively might want to think about taking up the habit of regular reading. Merely reading a word reflecting a color or a scent immediately fires up the corresponding section of the brain, which empathizes with written experiences as if they actually happened to the audience. Researchers believe this might very well help sharpen the social acumen needed to forge valuable relationships with others. Along with bolstering critical thinking skills, the authors of “Reading and Reasoning” inReading Teacher noted that literary intake also positively influences logic and reasoning. Again, though, the most viable strategy for getting the most out of reading involves picking apart the words themselves, not merely flipping through pages. Psychology professionals in the United Kingdom and United States gravitate towards bibliotherapy when treating non-critical patients, thanks to studies printed up in the journalBehaviour Research and Therapy. The practice involves prescribing a library card, which recipients use to check out one of the approved 35 self-help books for 12 weeks; as a supplement (not a replacement) to conventional therapy, it has proven extremely valuable to the clinically depressed and anxious. Evidently, reading is beneficial to all aspects of life. 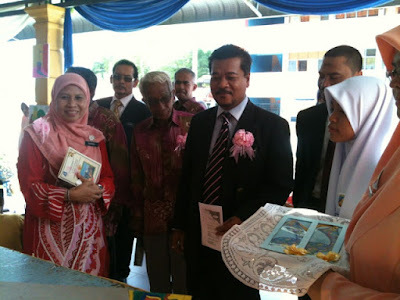 No wonder the NILAM Programme was introduced in 1999 to inculcate the reading habit among Malaysian students. 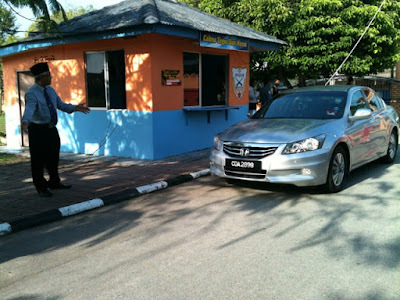 In the long run, and for the benefit of making this entry a multilanguage post, "Bangsa Membaca, Bangsa Berjaya." Newspaper in Education has been introduced since as long as I could remember. Back during my school days, we patiently cut out newspaper articles and sift through the news to find the important points highlighted by the writer. Also, NIE helped a lot in enriching my vocabulary bank. After I had gathered enough points for NIE, the marks could be exchanged for a Pizza Hut coupon. 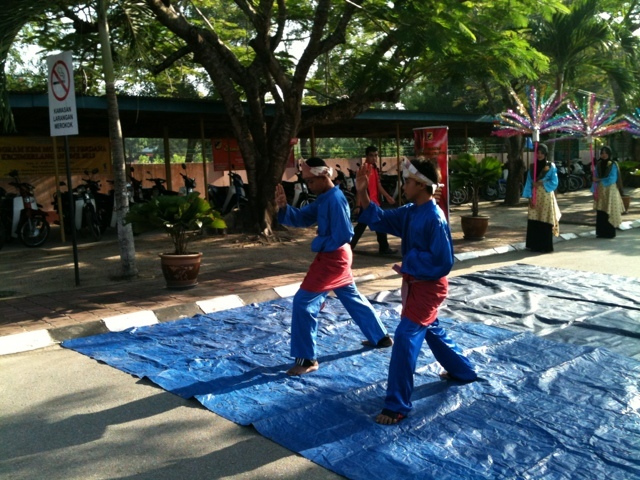 NIE in SMK Kandis continues to flourish with the full cooperation from the students. There are many venues in which NIE can be conducted; in the classroom, at the MBMMBI room, at the Interactive Learning Centre, the canteen and of course, the students' personal favourite, the English Garden. 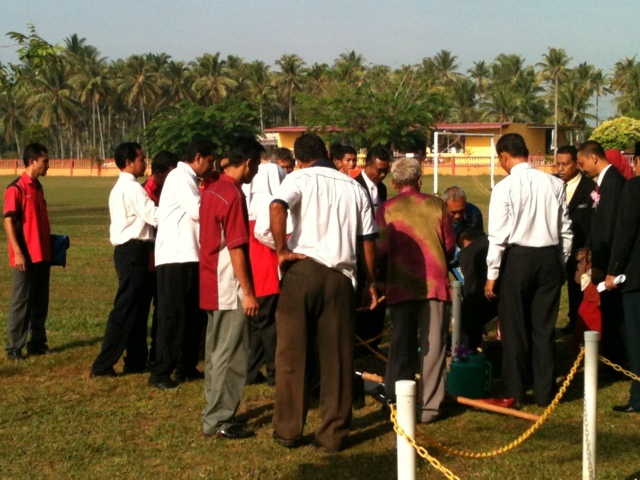 NIE is a year-long activity and it is a boon to both the students and the teachers. Since the Sijil Pelajaran Malaysia examination is just around the corner, the English Panel of SMK Kandis took the initiative to organize Teknik Menjawab Bahasa Inggeris with Mr Kumanan, Guru Cemerlang Bahasa Inggeris from SMK Sultan Yahya Petra (1), Kuala Krai. 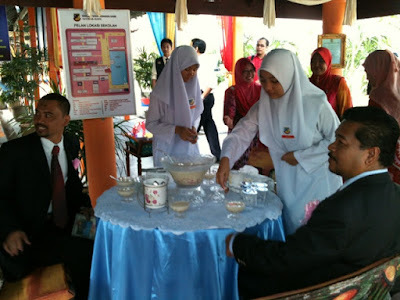 The seminar was useful for students who will be sitting for SPM 2013. The scaffolding technique used by Mr Kumanan could be of great help to SMK Kandis's students in coping with their weaknesses in English, which is deemed as the killer subject in any examination. Hopefully, the seminar would awaken the students from their peaceful slumber.